We had this plant in Australia for years before a ‘proper’ name was found for it. Originally I called it michoacan as it came from Michoaca in Mexico. 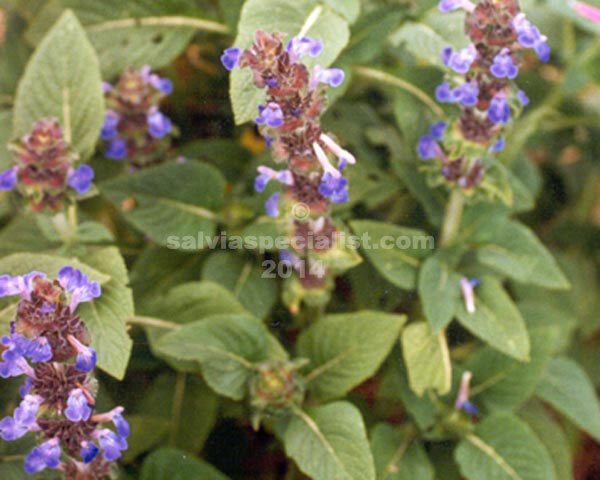 It is an odd plant with a most unusual flower arrangement of purplish blue flowers in autumn. It doesn’t emerge from its tubers until about November which often has people panicking that it is dead. Australian gardeners often seem to think that everything should begin to regrow in September which is when they get their gardening urge. Clinopodioides grows roughly a metre high or shorter and increases by tubers. I don’t think it would get to be a pest. Frost generally isn’t a worry since it is underground then anyway. Rotting of the tubers with too much water in summer would probably be more likely. It can be grown by cuttings or division of tubers and it does set seed. There is no salvia in Australia quite like this one at present.